The religious discrimination provisions of the 1964 Civil Rights Act do not include the right to harass co-workers with anti-gay religious tirades, according to a federal appeals court in Chicago. According to the unsigned ruling, Tanisha Matthews, who describes herself as an Apostolic Christian, worked as an overnight stocker at a Wal-Mart store in Joliet, Illinois. While on a break, she took part in a heated conversation with other employees about God and homosexuality. Another employee who participated reported to management that Matthews was "screaming over her" that God does not accept gays, they should not "be on earth," and they will "go to hell" because they are not "right in the head." During a company investigation of the incident, five other employees confirmed that Matthews said gays are sinners who are going to hell. The appeals court ruling stated, "If Matthews is arguing that Wal-Mart must permit her to admonish gays at work to accommodate her religion, the claim fails." 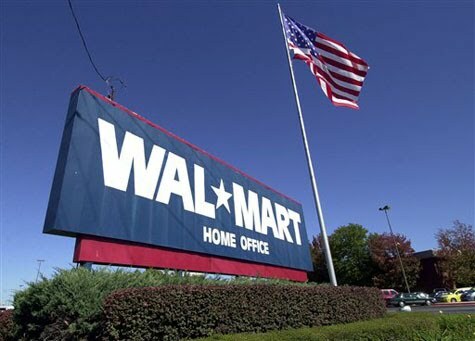 The court pointed out, "Wal-Mart fired her because she violated company policy when she harassed a co-worker, not because of her beliefs, and employers need not relieve workers from complying with neutral workplace rules as a religious accommodation if it would create an undue hardship. In this case, such an accommodation would place Wal-Mart on the 'razor's edge' of liability by exposing it to claims of permitting work-place harassment." Many anti-gay religious groups believe that such rulings, as well as hate crime legislation, infringe on their right to speak of their beliefs, which might include judgment on the LGBT population. Some have gone so far as to state that clergy could be arrested for such remarks made from the church pulpit. Which is nothing more than hysteria. If anything, the ruling should make it clear that no one is prohibited from holding or sharing such beliefs -- as long as it's in the appropriate setting. Like, for instance, church.